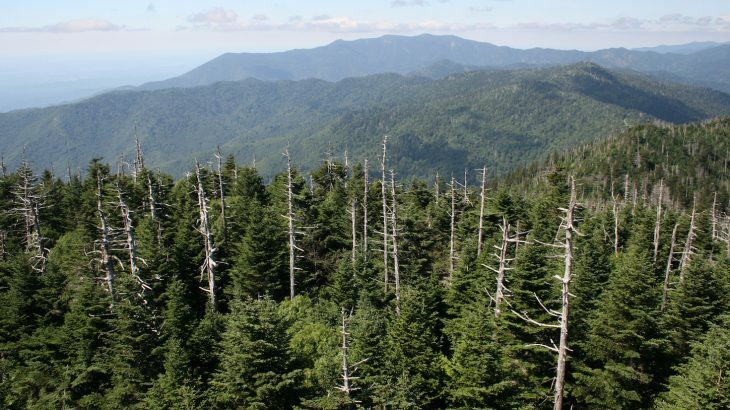 A study focused on how non-native insects and diseases invade U.S. forests has identified strong relationships between the diversity of native tree species and the number of invasive pests, which threaten the nation’s forests both economically and ecologically. Study co-author Kevin Potter is a professor in the Department of Forestry and Environmental Sciences at North Carolina State University. “Every few years we get a new exotic insect or disease that comes in and is able to do a number on our native forests,” said Professor Potter. The researchers tested two conflicting ideas about biodiversity. One theory is that having more tree species can facilitate the diversity of pests by providing more places for them to become established. Another idea is that tree biodiversity can have protective effects for forests by diluting the concentration of host trees and making it harder for pests to flourish. The study revealed that relationships between tree diversity and pest diversity followed a hump-shaped curve. According to the researchers, forests that have 30 to 40 different host tree species tend to have the most non-native pests. The extent of this effect depends on whether the invader is a specialist that can infest only a single tree species or a generalist that can spread to many different hosts. “What we see is that forests in the Midwest and up into New England are at the middle part of that hump-shaped curve in terms of the number of host tree species, and those are places where there have been a lot of insect and disease problems,” said Professor Potter.